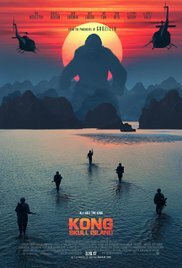 Movie Synopsis: The story happened in the 1970s, NASA launched a satellite to explore earth’s resource and environment, as a result, they stumbled on a mysterious island, the island is located in the South Pacific. In order to explore the unknown island, an expedition team consisted of scientists , explorers, journalists, and soldiers gone to the island. When they came to the island, they encountered the largest King Kong in history, and they had a terrible fight with it, after that, they came to understand, this was not a simple research, what is more important is that there are more terrible creatures than King Kong are waiting for them.